A small pin cushion from a medicine bottle, weighted with plaster of paris. 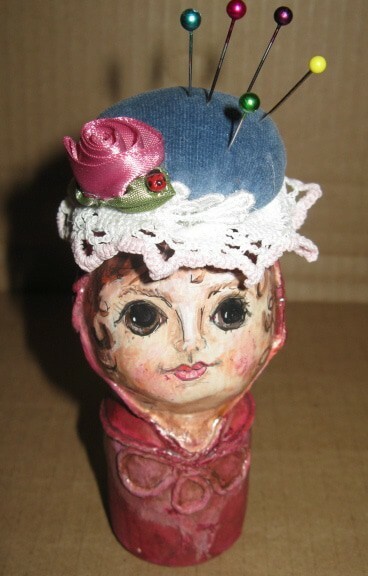 The design is similar to the collectable paper mache artist, Gemma Taccogna . I love her work. — To see all of our reader-submitted Practical Paper Mache projects, click here.